So… how was your April Fools’ Day? As with many people, the day is filled with anticipation (AKA anxiety). You’ve witnessed Scott’s flare for story-telling here on the website, but I’m going to tell you a secret that expands beyond his literary abilities and offer some insight into how prone to mischief he is. All year long, we second guess whether the “news” story he’s telling us is real or the lead-up to a punchline. For example, one day recently he told me about a new law passed in one of the states that had legalized marijuana. He explained that the new law mandated that you cannot use marijuana and laxatives at the same time. Me (gullible) asked if there was some kind of known drug interaction and his response was, “You need to sh*t or get off the pot.” Face meet palm. April Fools’ Day reminded me of another story Scott recently told me. It was about a nature photographer who was swallowed by a whale. Uh-huh. I didn’t believe him for a split second. He just embellished it too much. The guy was filming the sardine run when things went dark. He knew it had to be a whale and they have narrow throats so he wouldn’t be swallowed. So the photographer held his breath for the dive and ultimately survived to tell his whale of a tale because the whale spit him out. Oh, and his son’s name is Jonah. As I do with many of Scott’s stories, I Googled it and sure enough, the story is true! 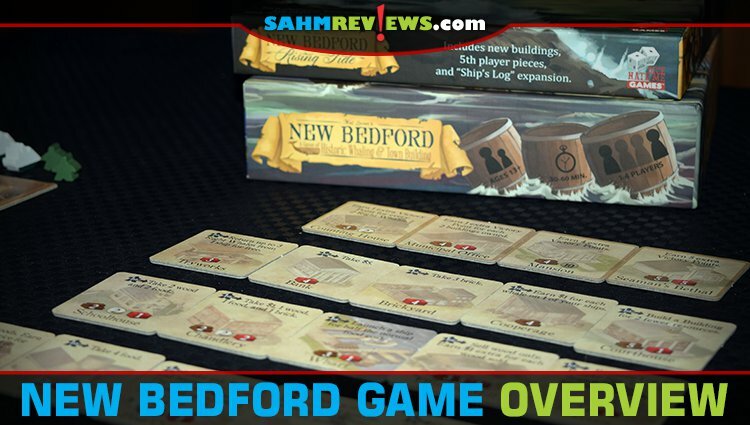 In honor of the story and the conversation, I decided we needed to play New Bedford whaling game from Greater Than Games. Yes, I know whales are gentle giants but don’t worry; no whales were harmed in the playing of this game. 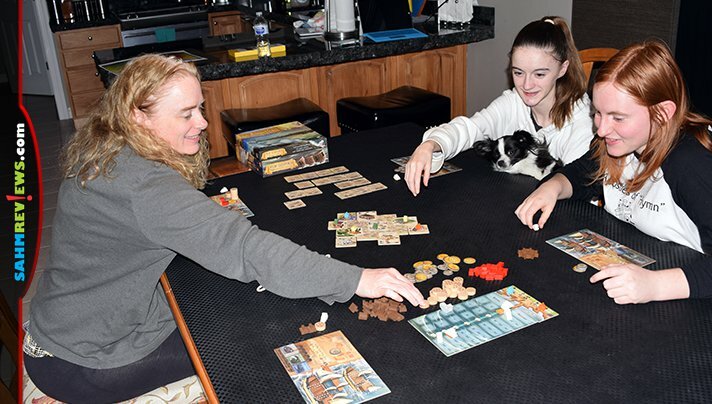 It’s a worker placement strategy game where players work to build up the historical whaling town of New Bedford. The game takes place over 12 rounds that include four phases each. To begin, a designated number of whales are placed in the Ocean Bag based on how many players. 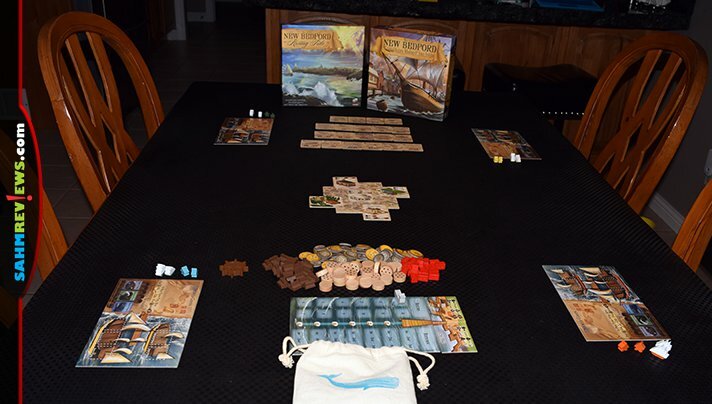 The town board is placed in the center of the table along with the Whaling Board, goods and money. Building tiles are sorted and placed alongside the Town Board. 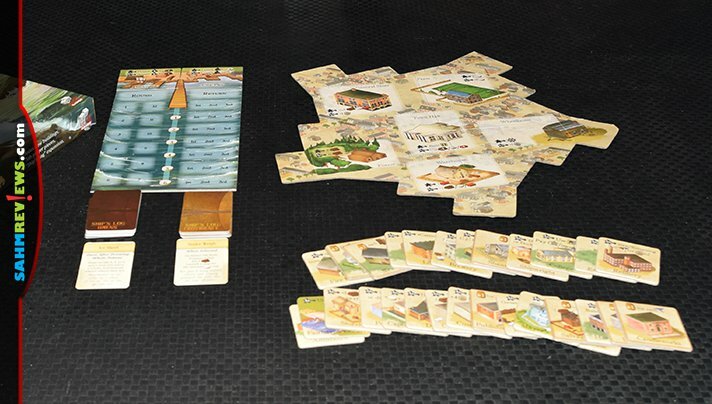 Each player selects starting goods and a player color along with the related workers, ships and Player Board. Each round begins with an Action Phase, followed by a Movement Phase, moves to a Whaling Phase then wraps up with an End of Round Phase. Basically, there are two separate areas of play. The Town Board is where the bulk of the activity occurs, but the Whaling Board is where the bulk of the scoring occurs. 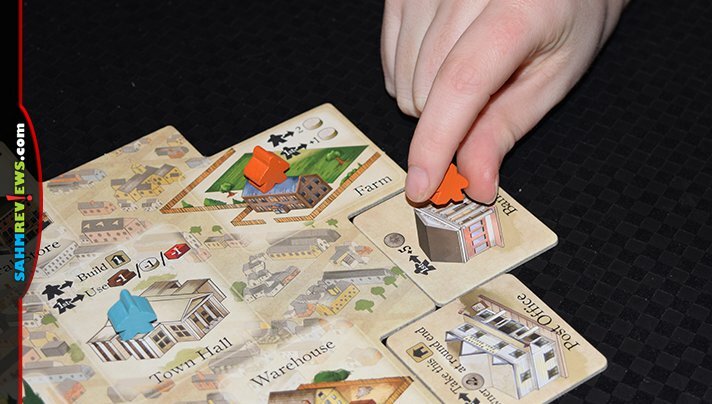 During the Action Phase, you place one of your workers on a town or building space on the Town Board or Whaling Board. Many of the spaces allow multiple players to use the space with the first player arriving receiving a bonus. There are a variety of types of spaces to choose from including collecting or selling goods or launching ships in the Whaling Phase. Of course, there are fees to pay for using spaces owned by other players, but you’ll also be paid for anyone using spaces that you own. Players take turns performing actions until everyone has used both their available workers. Then play moves to the Movement Phase. Both the Movement and Whaling Phases take place on the Whaling Board. It’s the process of ships heading out to sea then returning with a ship full of whales. In Movement, all ships currently at sea move closer to the shore. Each ship holds an unlimited number of whales, but upon return to the dock you must pay a “lay” fee for each whale on board. Basically, it’s a processing fee to be able to claim the whale tokens. There are three types of whales, each with a different “lay” fee and victory point value. 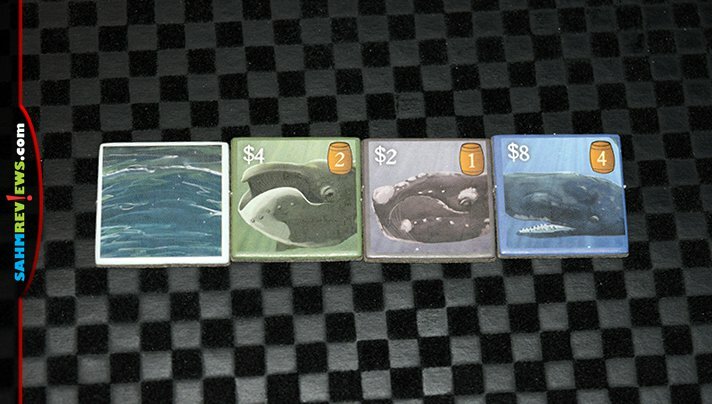 Right, Bowhead and Sperm whales cost $2, $4 and $8, respectively and provide the owner with 1, 2 and 4 victory points at the end of the game. If you aren’t able to afford the lay fee, you can sell the whales back to the dock workers at half their cost. But let me back up a minute… The Whaling Phase is how you get the whales onto your ship in the first place. After all ships have moved and completed the Movement Phase, ships still at sea begin fishing. Tokens are drawn from the Ocean Bag equal to the number of ships at sea plus one. These tiles represent an assortment of the three available whales in addition to empty sea tiles. 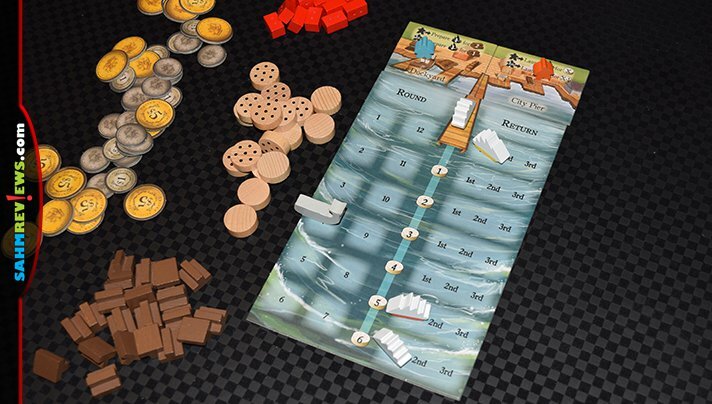 The player with the ship furthest from shore gets to select from the available tokens first and places it on the respective ship’s hold on their personal Player Board. The ship the next furthest out selects next and so on until all ships have been able to catch a whale. Of course, if there are two or more sea tokens, it’s possible that a ship won’t be able to catch anything on that particular turn! There isn’t a limit to how many whales the ships can hold, but you’ll want to be able to pay the lay when you return to town or you can’t claim the victory points! After the 12th round, standard play ends and a final whaling action takes place to get the remaining ships back to the shore. After that, scores are tabulated. First you’ll calculate the value of the Whale Tiles you’ve successfully earned. You’ll also earn one point for each Building Tile you’ve placed as well as bonus points for any Victory Buildings constructed. Finally, you’ll receive one additional Victory Point for every $5 you have. The player with the most Victory Points is the winner. 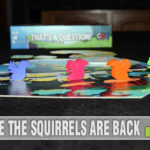 While the base New Bedford game accommodates one to four players, the New Bedford Rising Tide expansion includes three different expansions to add even more depth to the game. You can add one, two or all three to the base game to give is more replay value. 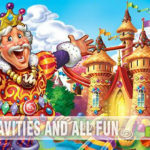 One expansion adds a 5th player in addition to new buildings, another is the Town Expansion and adds 20 new buildings as well as Mayor and Bridge tokens. Finally, the Ship’s Log includes three new buildings and a deck of Omen/Providence cards. 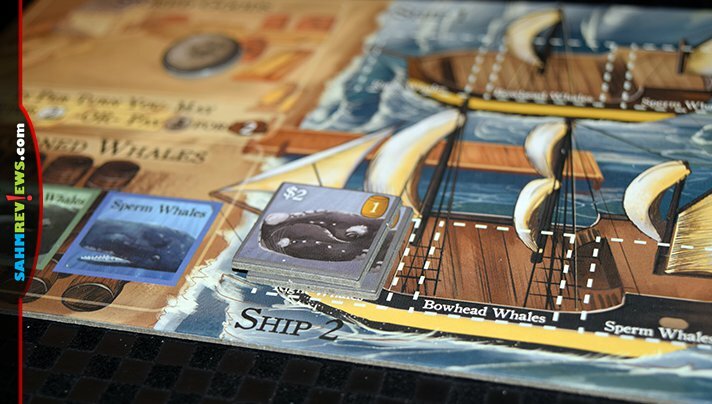 The two decks of Ship’s Log cards are placed by the Whaling Board with the top card of each deck being revealed for all players to see. During the Whaling Phase, players may select the revealed card instead of one of the whales or an open sea token. These cards provide additional victory points, scoring options, supplies or actions. 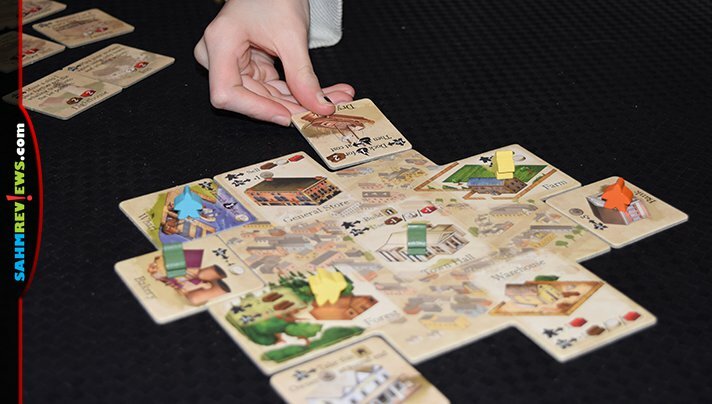 Whether you’re playing New Bedford game with friends or opt to play a solo version using a specialized set of rules and pieces, the game is worth the investment of just over $30 on Amazon. The expansion requires purchase of the original game and while it’s available on Amazon, it’s more affordable direct from the publisher. Aside from the entertainment value, it’s filled with historical notes about the whaling industry. To see what other titles are coming in on the boat for Greater Than Games, visit their website or follow them on Twitter and Facebook. 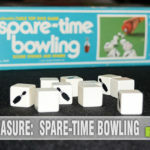 You’re sure to find one that offers a whale of a good time for your next game night! Are you familiar with the historical town of New Bedford? 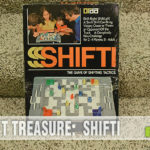 I’ve want to try this game, thanks for the review!